The brilliant people behind Baby Ballroom are worried some parents will have missed out on the recent David Bowie celebratory events. And they're anxious to ensure the next generation are introduced to David Bowie's musical legacy. 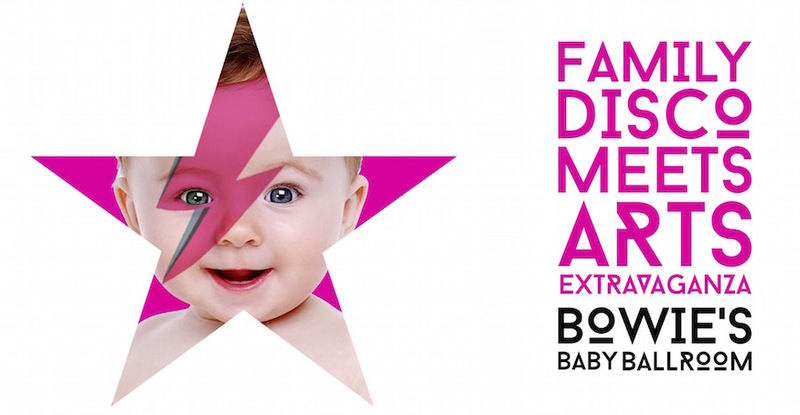 Enter Bowie's Baby Ballroom at the Arcola Theatre. If you haven't been to a Baby Ballroom event before, you can expect a family-friendly dance floor full of fun, combined with an arts extravaganza even the most craft-averse parents can get stuck into. Look out for Bowie paper-craft; Ziggy Stardust make-up; create your own Star Man; and make Labyrinth-inspired puppets. And don't miss the free glow sticks and balloons. Fancy dress is encouraged: in fact, there'll be prizes for the best costumes. There'll also be a baby chill area; a play zone; and the chance to enjoy the Arcola's licensed bar and delicious food.